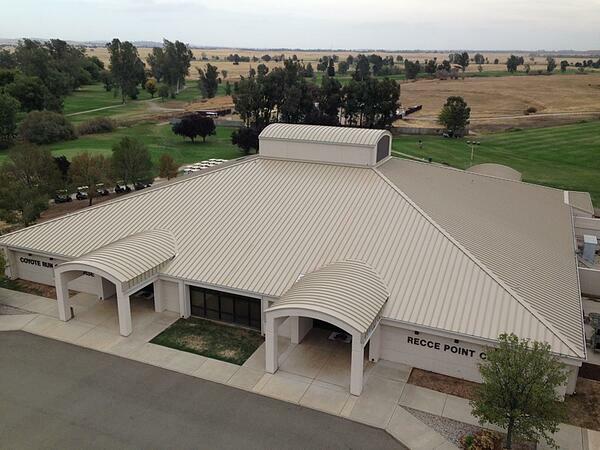 For more than a decade, the patrons of the Recce Point Clubhouse at Coyote Run Golf Course were forced to put up with a leaky roof at the entrances. 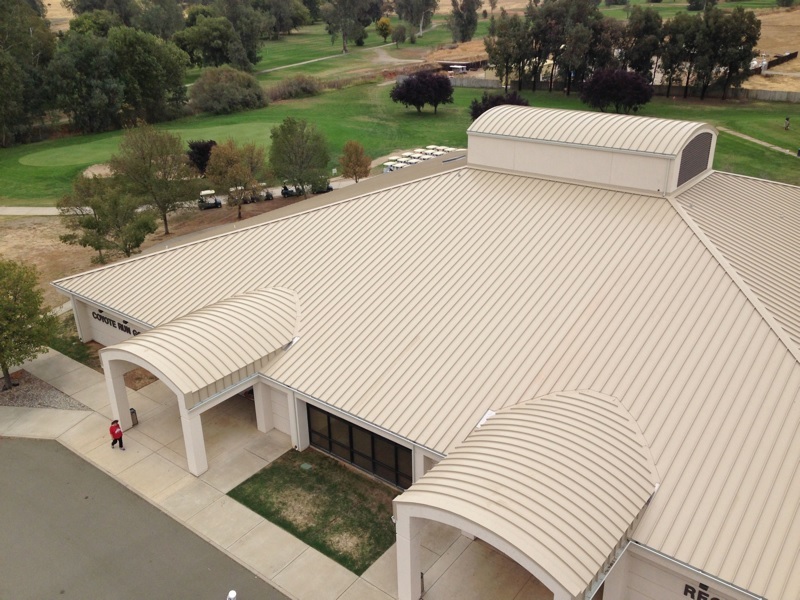 Rua and Son Mechanical of Lincoln, Calif., took a little extra care with the installation of the 238T Symmetrical Standing Seam panel with Plank and Pencil Rib from McElroy Metal to solve the issues. 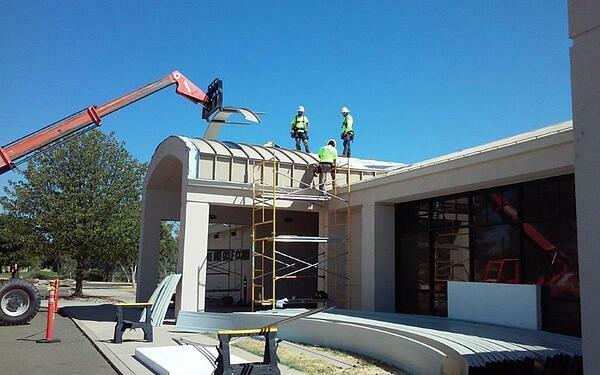 McElroy Metal brought a roll former and curver to the jobsite, located on Air Combat Command at Beale Air Force Base, east of Marysville, Calif. Approximately 30,800 square feet of the 238T panel in Surrey Beige was formed and installed. The longest panels were almost 70 feet long. Five areas required curved panels, the four entrances and at the top of the clubhouse, a large vented area for the HVAC equipment in the attic.